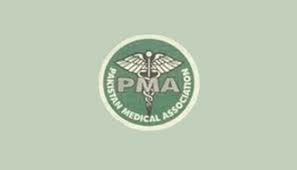 KARACHI: Pakistan Medical Association (PMA) has expressed concern about the plight of all those teachers who have acquired their PhD and MPhil qualification from foreign and local general universities and are waiting for acceptance of their degrees by the Pakistan Medical and Dental Council (PMDC). Secretary-General of Pakistan Medical Association (Centre) Dr SM Qaisar Sajjad, in a statement, said according to the point of view of the high-ups of PMDC the degrees of only those universities will be taken into consideration that has got their own medical colleges and affiliated hospitals. Keeping in view the circumstances of our country, we have an acute dearth of highly qualified teachers of medical subjects. The PMDC’s decision is restricting all those qualified teachers to be registered with PMDC and hence promoted according to the rules. At the moment there are so many teachers with such degrees in line to be recognized by PMDC. This policy is also causing an unrest and atmosphere of un-security amongst the teachers. He demanded that the PMDC should find out an amicable solution to this problem and encourage students of medical subjects to continue their education and all those, who have already completed their post-graduation and are waiting for their recognition and promotion, should be allowed to play their due role for the betterment of medical education in the country.